Oh my word! Oh my lots of words, actually! 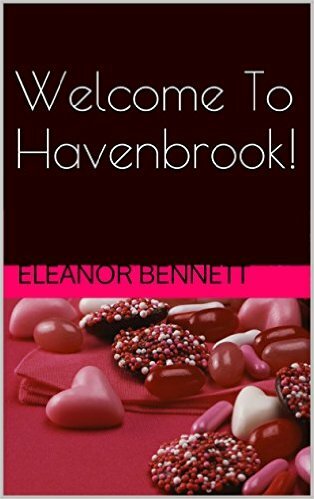 Today I’ve seen my first self-published ebook, Welcome To Havenbrook! jump up the Amazon rankings! 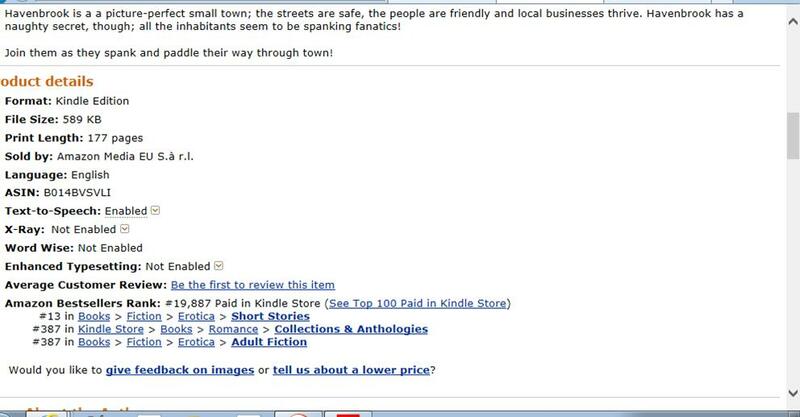 It’s unbelievable – in the course of maybe twelve hours, it’s gone from #44 to #13 in the erotica short story ranking, according to the UK Amazon site! I wish I had paid attention to the other rankings, but I can only assume that they’ve gone up too. This is so exciting! I know that that I won’t make any money from this book, but hey – somebody’s actually bought it! My words are on their Kindle! Here it is! Buy from the British Amazon site here! Buy from the American Amazon site here! Now I’m going to find some ice cream to celebrate! I’m so happy for you! I remember that feeling. I’m also reading your book, so far I love it! Thank you! I can’t quite get my head around it! Please link me to your book when you can! 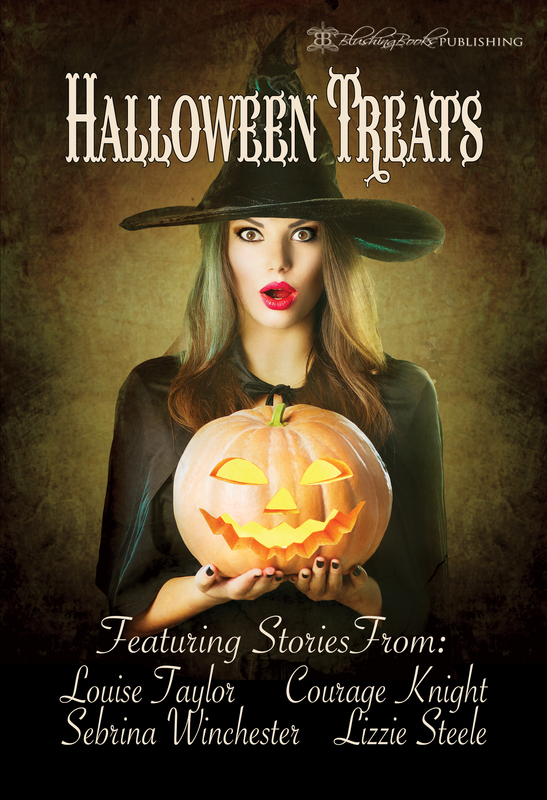 I’d love to read it! Thank you! I’m really quite overwhelmed!